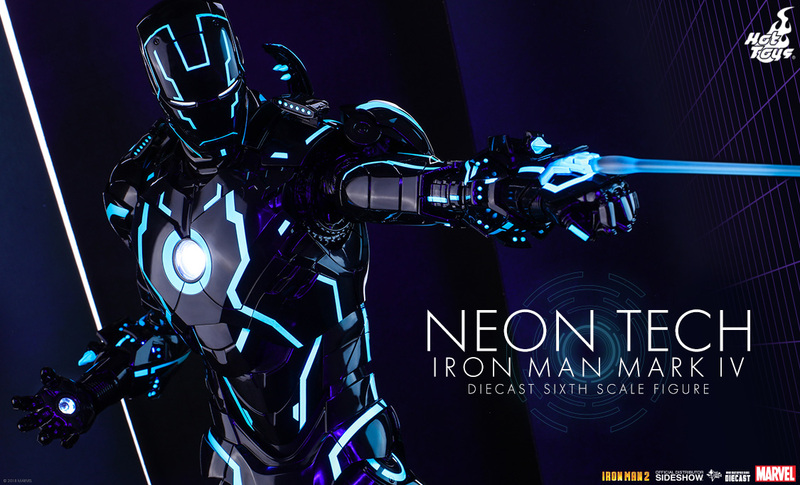 Hot Toys‘ Neon Tech Iron Man Mark IV Diecast Sixth Scale Figure will be available to order through Sideshow.com during NYCC, October 4th – 7th, 2018 by getting details at Sideshow’s booth, #1912, for those attending the convention! Get complete details in our blog about how you can order this Figure if your attending the convention! Not able to make it to NYCC and want to try and get this collectible? Should any pieces remain available after the convention has ended, they will be offered for Pre-Order through Sideshow.com in the future! Simply sign-up on the RSVP list today and we’ll send you updates!